Thanksgiving is a little over a WEEK away and Christmas is just around the corner! Who’s excited!? I know we are! I’ve been sharing on my Instagram about our JOY-Filled Family Christmas and wanted to elaborate on it a little more here! While I am a giant fan of all things crafty and creative I recognize that the holidays are so full that there are days I barely catch my breath much less pull out our “make things” box. 🙂 Instead of adding pressure to do, go, make, or feel stressed I wanted to encourage you this holiday season! 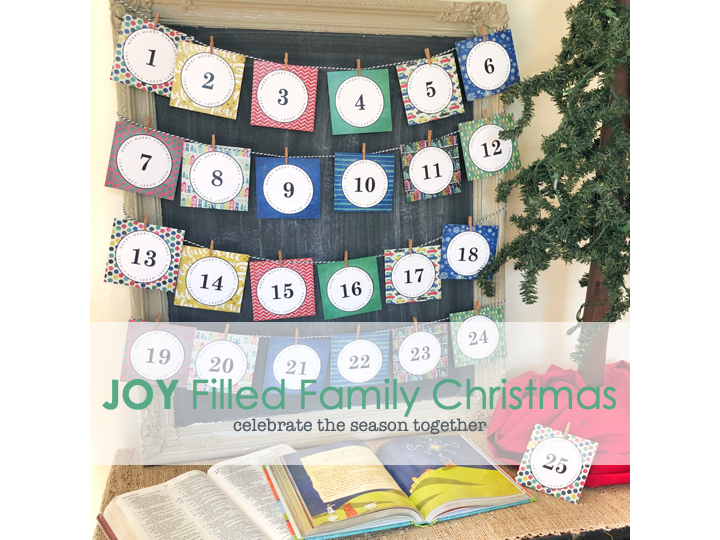 The JOY-Filled Family Christmas set is a tool to use as you spend time just being together as a family. And what better way than by pointing your family back to the very reason for the season! In my little family this year we’ll continue to read the Jesus Storybook Bible. This is how we begin most days but in December we’ll have a special focus on the story of Jesus’ birth. I’ve had such a longing in my heart to invite my children in to the inspired scripture of the Holy Bible. I want them to hear God’s word directly from Him and so I was inspired to create a reading plan for the holidays. I included the background to the Christmas story and broke it down in to manageable sections to read with little ones. To follow up with the reading the cards have one question. This can be a launching pad for further discussion or there’s full freedom to let the questions rest rhetorically in the minds of your family members. As you finish the time together you’ll find a simple prayer of praise on the last section of the card. The thoughts and ideas of little ones are incredible! Setting aside time each day throughout the holiday hustle and bustle is a worthwhile investment in the hearts of your littles. Consider joining us for the JOY-Filled Family Christmas! 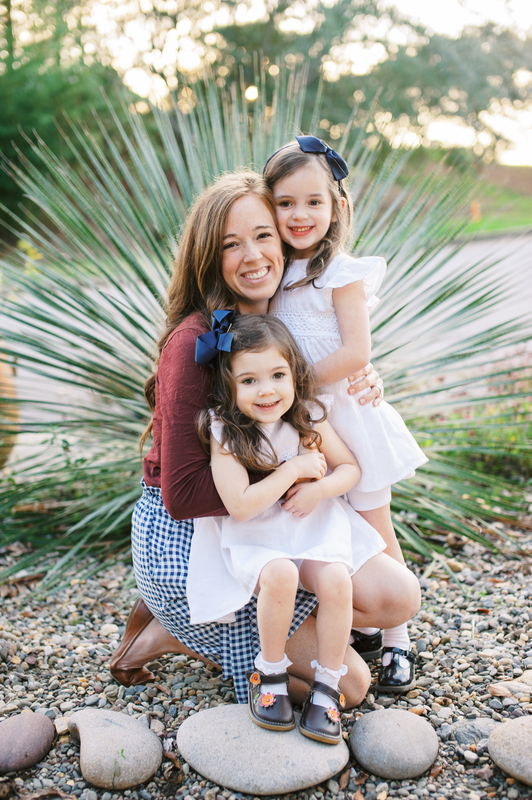 There is absolutely no prep and only takes a few minutes each day, but it’s a beautiful way to slow down and point your family to the true hope and joy that Christmas brings! God promises in scripture that His word is powerful and effective (Isaiah 55:11.) What a joy to see the power of scripture in our hearts and homes! May this Christmas be the sweetest one of all! Sign up with your email address to receive inspiration, encouragement, and FREE printable activities each Friday afternoon!